I've just updated the Fluffy Surprise section with some new information on the second series of animals and fashion sets. I've just updated the Magic Bottle Pets section with better images of all the toys, plus packaging images and even two previously unknown later additions to the line. I've just updated the Nosy Bears section with better images for all bears and bunnies, plus packaging images and lots more accessories! I've just updated the Secret Keepins page with better images of the pups, a commercial and even some prototype toys! 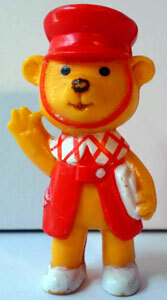 I've just updated three Liddle Kiddles pages with images and names of previously unknown dolls. I've just updated the 2002 Miss Party Surprise page with another playset called Pony Party Set. I've also added the names of the 2002 playsets to the 1999 playsets where their moulds were reused and created a dedicated page for comparison. 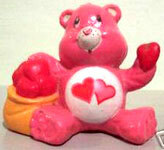 Care Bears were originally characters created by American Greetings in 1981 for use on greeting cards. 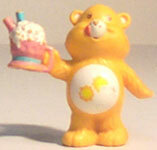 Then, in 1983, Kenner took the characters and made the first in a line of very successful teddy bears based on the Care Bears. Each bear was a different colour with a symbol on their belly to match their names. 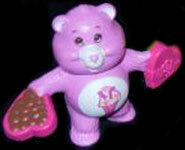 Care Bear Cousins, produced a couple of years later, were a series different animals with matching symbols to names. 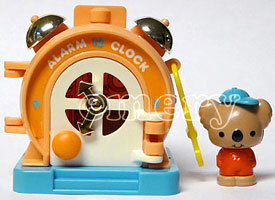 The Care Bears franchise was massive business and a huge amount of items were produced to go along side the toys. 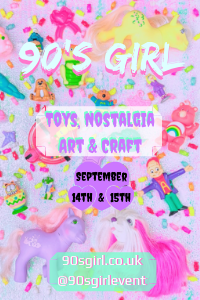 There were book, magazines, cartoons and films, plus so many other items I can't mention them all! 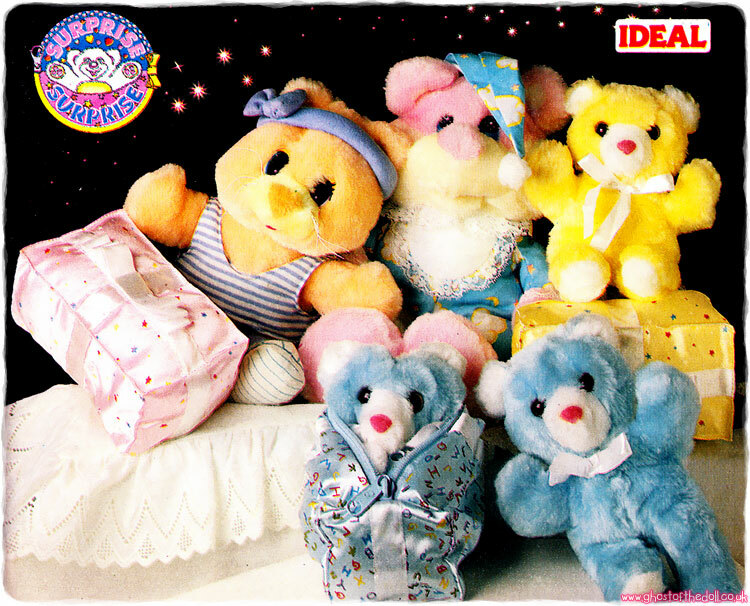 A popular toy in the 80's, the Care Bears and Cousins made a succesful comeback to 2002 with several new characters being added to the original line (not mentioned here). Images on this page thanks to Renee, Myself and various eBay sellers! 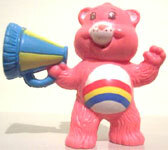 View all Care Bears on eBay.com or eBay.co.uk ! 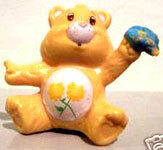 Miniature Care Bears and Cousins were made of PVC and roughly 1 inch high. 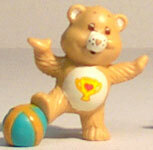 Each Care Bears came in one to four different poses, and the Cousins in just one pose each. Professor Coldheart and Cloud Keeper were also produced as miniatures. These are all the miniatures I have found so far. 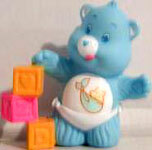 These were six Care Bear Cousin miniatures produced, one of each main character. None of the UK characters were made at this size. The Cloud Keeper had two poses, whist Professor Coldheart only had one.